Is Apple TV Worth It? Every since Apple released the small set top box known as the Apple TV, people have wondered: Is Apple TV worth it? Is it worth the purchase? Does it provide enough content? Well, if you're one of the ponderers, I hope this article will give you some insight into Apple's little hobby. What does Apple TV do? 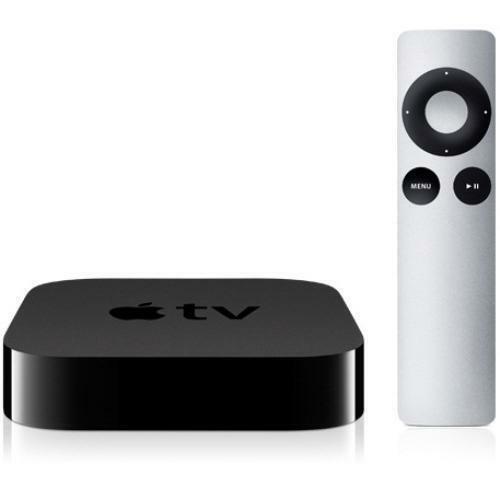 Let's take a look at what Apple TV offers to help answer the question: Is Apple TV worth it? First, Apple created the Apple TV so it naturally fits into the Apple ecosystem. If you are an Apple fan and own many of their products, this decision may be a no brainer for you. For users not already in the Apple ecosystem, this is what the Apple TV can do. 1. It works with iTunes so you can stream music, TV shows, and movies you have purchased or rented. 2. This could be included into #1 but it also allows you to stream podcasts and iTunes U content from your computer. This is a favorite feature of mine. 3. Apple TV allows you to stream content from Apple as well. By highlighting TV Shows or Movies, this device will show you the latest releases in the respective areas. When you select one of these categories, you can purchase or rent the TV Show or Movie from the Apple TV. Apple also allows you to rent some movies before they appear or while they are in movie theaters. It can be a little pricey but it may be worth it to someone that would rather enjoy a new movie at home. 4. The latest version, Apple TV 3, can display up to 1080p high definition content. 5. You can watch Movie Trailers on this device. 6. Sports fans can watch Baseball, Basketball, and Hockey. I believe you need subscriptions for these. Without the subscriptions, you may be able to watch game highlights and wrap-ups. 7. You can view individual pictures, picture slideshows, and also set up your screensaver to be a picture slideshow with multiple display styles. 8. You can stream radio stations. 9. You can watch YouTube videos, Netflix, and Hulu+. 10. Last, but not least, you can use AirPlay. AirPlay allows you to stream content from iTunes, your Mac, or an iOS device to your Apple TV. This is where it gets good! If you have the latest devices, you should be able to mirror the screens of those devices on your Apple TV. This means you can display apps on your large screen. I can't promise all apps work. You would have to test them, but that largely increases the Apple TV's capabilities. What doesn't Apple TV do? So far, what do you think? Is the Apple TV worth it? We've looked at what the Apple TV can do. Next, let's look at what it cannot do. 1. Apple TV doesn't play various video formats. You are limited to the MP4 format. Tip: Now, if you convert your videos to this format, then you should be able to watch them using your Apple TV. 2. Apple TV doesn't provide a huge amount of content. It provides a lot of content but there are other devices that may offer more. 3. Apple TV doesn't have voice navigation. Users may feel limited with the remote and it may take longer to type in search items. Now that you've had a chance to see what features the Apple TV offers and what features it does not, you can make an educated decision. Apple makes great products but they have many competitors. I think Apple makes the best quality products. You can normally get an Apple TV for $99, slightly lower if you find a sale. In the end, the choice is yours. Only you know if the Apple TV is worth it for you. Check out the sales below by selecting the picture! Get yours on sale now! Is the iPad Mini Truly a Mini iPad? Have You Tried iTunes 11 Yet?